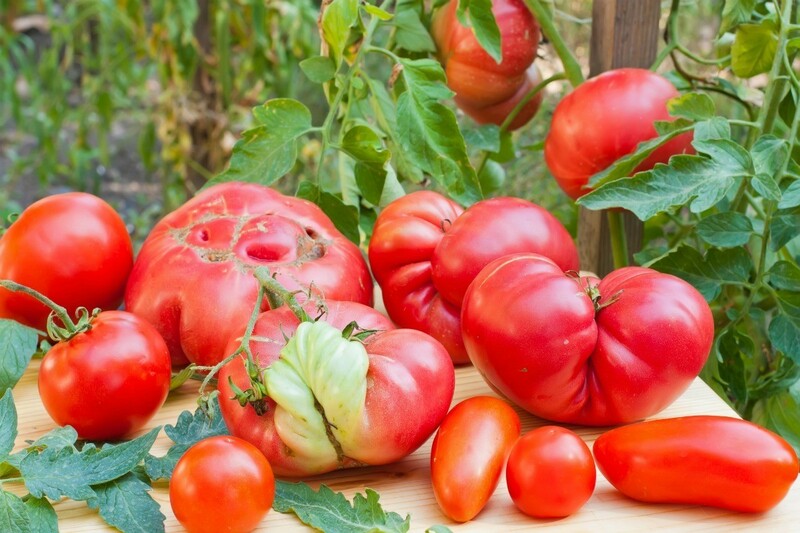 Tomatoes come in many sizes, colors, and shapes. They can become an unexpected form or have additions that can remind you of something else. This page contains weird tomato photos. This heirloom Black Prince tomato grew these funny looking horns. It looks like a little devil tomato. Does anyone remember W.C. Fields? Here is DH's tomato that reminds me of the actor. 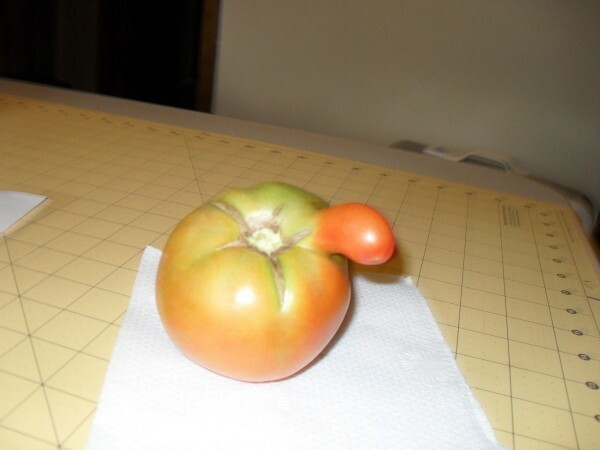 Here is a really odd looking tomato from our plants. My son Steve is the gardener.